Sonica's Japanese Taiko Percussion is an authentic library of taiko sounds for BFD3 and BFD2 which perfectly captures the earth-shaking bass and pure percussive power of Japanese taiko drums. 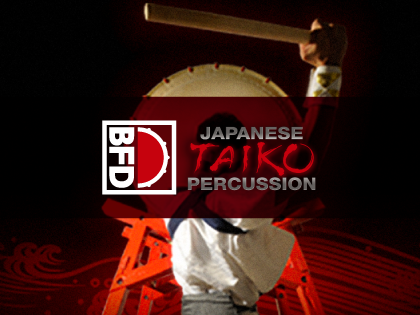 JTP is perfect for traditional Japanese music, soundtrack work and any other genres that require dynamic, huge-sounding percussion. 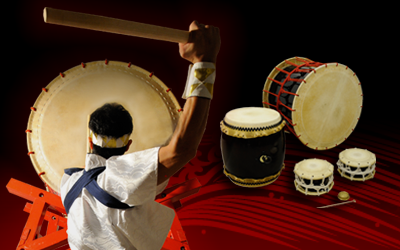 The instruments are played by Ikki Hino, leader of Wataiko Ikki, a world-renowned taiko performance group, and recorded by Tomzuin H, a sound designer and composer who previously produced sample libraries such as the FUEL series. JTP's sounds and performances are uncompromising in their authenticity and perfectly capture the sheer energy of taiko drums.